I'm such a cookie monster. It's kind of awful. I honestly blame Sesame Street. I mean, they basically taught a love of cookies along with the ABCs, right? Right. So who am I to blame for my undying affection? I wouldn't be surprised if some celery-wielding, health-nut mother started a petition to pull Sesame Street off the air because it inspired an affinity for a certain sweet, round little number (or perhaps because it turned her child into a sweet, round little number). 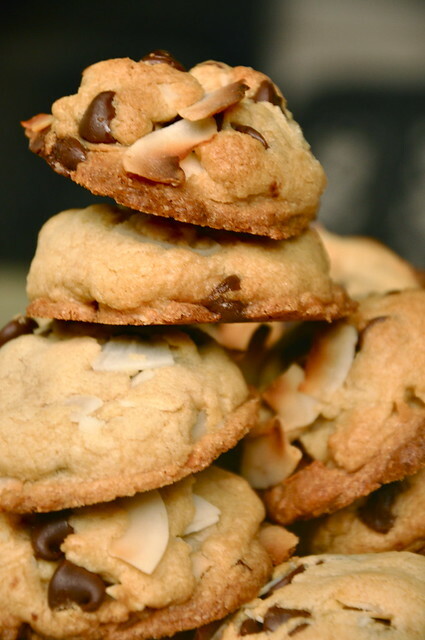 There are those other moments, those glorious, sugar-fueled moments, when only a cookie will do. 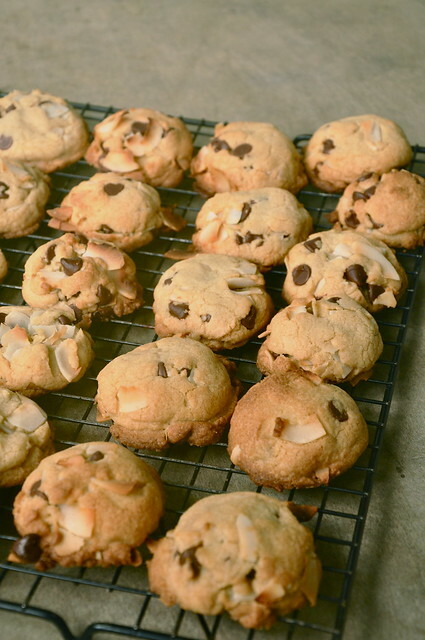 Cookies like these are my half-hearted solution to my moral dilemma. I'm going to be perfectly frank here. These aren't little nuggets of health, by any means. But a few steps in the right direction (no butter, no dairy, whole wheat), at least leaves me with a semblance of virtue. Preheat oven to 350 degrees. In a small bowl, whisk together flour, baking powder, and salt. In the bowl of a stand mixer, beat together coconut oil and brown sugar. Beat in egg and egg yolk and vanilla extract. Gradually beat in dry ingredients. 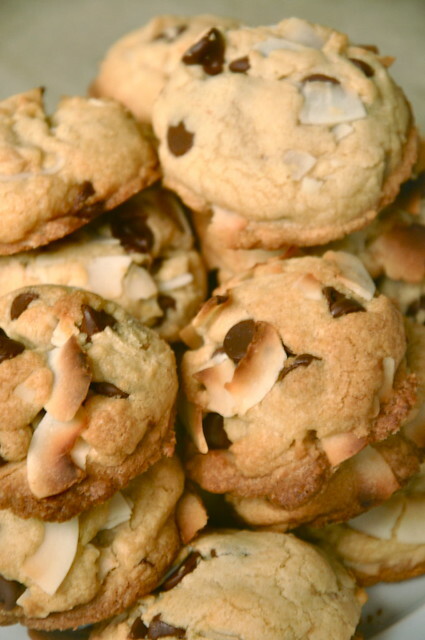 Fold in chocolate chips and dried coconut. Roll dough into 1 1/2-inch balls. Bake for 12-15 minutes, until dry to the touch and golden brown. Let cool on a wire rack.